So...yeah...this is a thing and it's disgusting. I saw this on twitter and my timeline has melted into jokes, I just... I... I'm glad I'm not a Sonic fan. 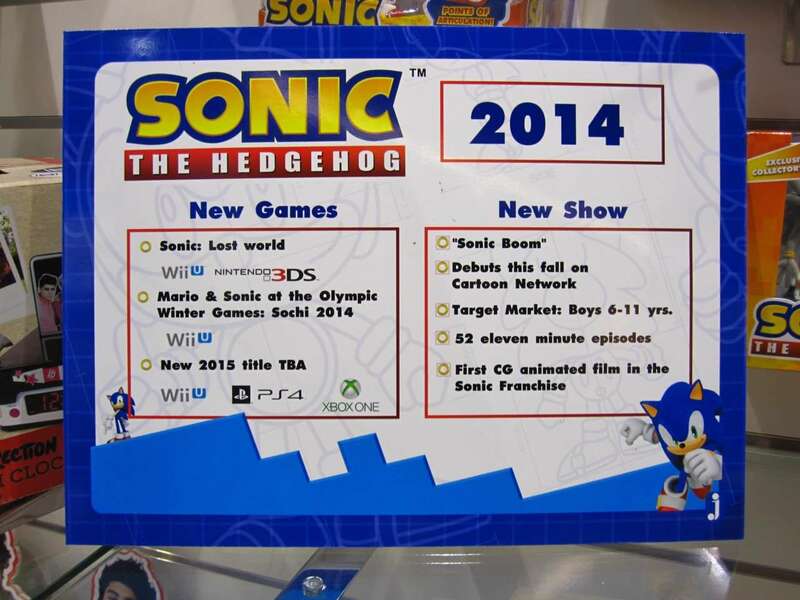 I was scared when I heard about it knowing that there's a PS4/Xbone Sonic game coming. Turns out this is just one of those throwaway Nintendo exclusives, so whatever. The good Sonic game is coming. It doesn't look bad to me though aside from the wub wubs. Are people trying to reinvent the Sonic Cycle or something? Oh yeah; The Wii U version is made by BigRedButton which is made by ex-Naughty Dog devs while the 3DS version is made by the guys who made Sly Cooper: Thieves in Time and Sly HD. Companies with history in Sony games making a Sonic game for Nintendo consoles. It's a bit weird. I dunno about mad, but people I talked to are definitely weirded out by it. He looks more like a football player than Knuckles now. He's so bulky. Knuckles just went to the gym is all, give him a break. I don't think I knew about this. That's good to hear. Well Sega has since gone back with some PR speak to say that the info "wasn't correct" and they "haven't announced anything," but I'm sure there's something in the works and that was a leak they weren't prepared to announce yet. You can't fool us. This is the second time someone has leaked the announcement of a new game for a surviving "Mascot with Attitude", and passed it off as misinformation. Crash Bandicoot, now the hedgehog that started at all... The 90's has a bright, bright future.